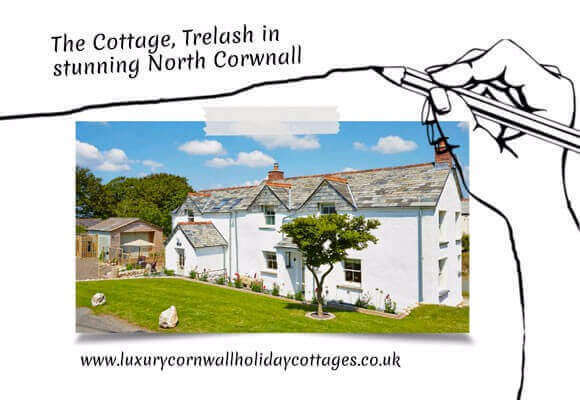 Far from the Madding Crowd, this how you will feel when staying as my guests at The Cottage in Trelash, North Cornwall. Only 6 miles to the nearest stunning beach and rugged coastal foot paths and even less to beautiful moorlands and the Wilsey Forestry where doggies love to take their owners for walks. For those of you not familiar with the term “Far from the Madding Crowd”, it is the title of Thomas Hardy’s fourth novel, first written in 1874. Later Hardy amended the novel a few times and it wasn’t until 1915 that the novel made the metamorphosis to film. Following this, two further films based on this romantic drama, were released in 1998 and 2013. Thomas Hardy became familiar with our little corner of Cornwall in 1870, when he undertook an archeological mission to restore St Juliot parish church near Boscastle, just 6 miles from The Cottage, Trelash. During his stay here, Hardy, an English novelist and poet met and fell madly in love with Emma Gifford. They married in 1874 but sadly, later became estranged. Following Emma’s death in 1912, Hardy revisited North Cornwall to reunite himself with places linked to his courtship of Emma. His love for Emma was the inspiration for many of his poems and stories. The novel, ‘Far from the Madding Crowd’, is a romantic drama involving Bathsheba Everdene, (an independent and headstrong farm owner) and three devotees: Gabriel Oak (shepherd), William Boldwood (a wealthy local bachelor) and Sergeant Francis Troy (a local sheep farmer). Having dismissed Gabriel’s affections, Bathsheba decides on marrying Troy but sadly finds that he gambles, is no sheep farmer and her suspicions that he doesn’t love her are confirmed when it comes to light that Troy had a relationship with servant Fanny Robin resulting in her death during the birth of his child. The story twists when Boldwood (who desperately wants her to marry him) shoots Troy in front of Bathsheba and Gabriel, albeit still in love with her, decides to emigrate……. You will need to watch the forthcoming new release of ‘Far from the Madding Crowd’ out on Friday 1st May to see how the story unfolds. This romantic drama stars Carey Mulligan, Matthias Schoenaerts, Michael Sheen, Tom Sturridge, and Juno Temple; a line up that will hopefully provide us with great entertainment. 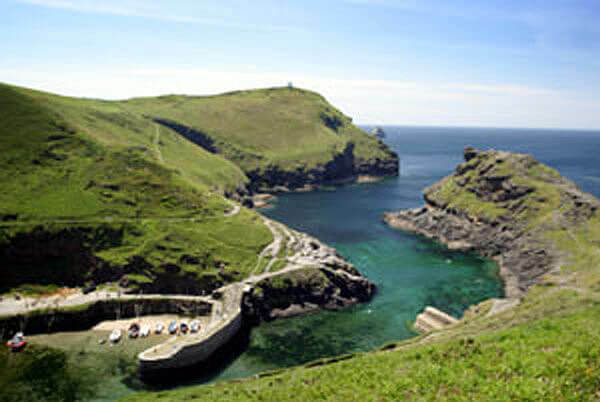 Introduced 9 years ago, the Boscastle Festival Calendar kicks off the 2015 Festival with the Boscastle Walking Week commencing Saturday 18 April through to Saturday 25 April, 2015. It is difficult to resist a visit to this picturesque North Cornwall coastal village where you can choose to walk the coast paths, or just take in the splendour of the lush green valley leading down to the staggering high cliffs that protect the little fishing harbour below. The Festival’s walking week has become a very popular event with somewhere in the region of 120 walkers taking part in 2014. With walks planned along the dramatic North Cornwall coast, this exhilarating event is the perfect activity for seasoned ramblers, dog-walkers and families. The Pentargon Circular walk along the stunning coastal foot path to Beeny, near Tintagel. Or enjoy a moderate walk and learn more about the intriguing Cornish language by exploring the meaning of place names along the route between Bossiney and Boscastle. Take a moderate stroll for an hour or so around the Padstow Estuary, during which you can view the Victorian and Gothic delights of Prideaux Place. Gentler still is a delightful evening at The Rectory, St Juliot (where Thomas Hardy met his first wife, Emma Gifford) entitled the ‘Pasties, Puddings and Poetry Evening’. Just bring along a book of Cornish themed poetry. Overall the Walking Week is a great way for people to explore the stunning, rugged coastline and adjoining scenic countryside. It will provide a unique opportunity for all to experience parts of North Cornwall that they would not normally seek out. Best of all the week’s experiences are under the guidance of local walkers, experts and historians. 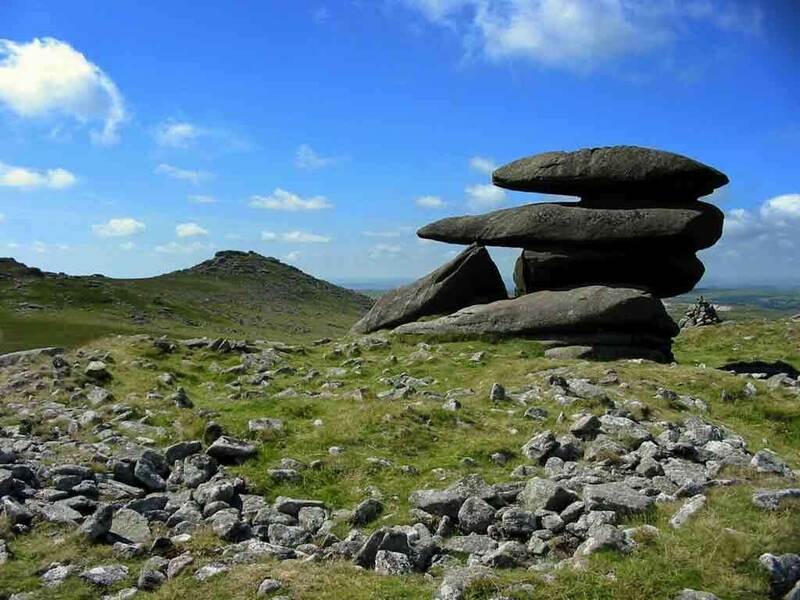 Guided walks start at a very favourable £5 and can last from one hour to all day. During the week you will also have the opportunity to benefit from various special offers provided by local businesses. Boscastle Walking Week has become a firm fixture in the Cornish holiday season but Boscastle is a beautiful location to visit at any time of year. Our family owned cottages in Trelash are only 6 miles (15mins drive) from Boscastle and provide the ideal rural retreat to ramblers and families all year round. Dogs are very welcome to bring their owners to The Cottage. Are you ready for what has been described by some as a “racy” new adaptation of the swashbuckling 18th century Cornish drama, Poldark? Set in the same period as The Cottage, Trelash was built, this new adaptation of the fictional stories by Winston Graham will capture the hearts and minds of all those who love Cornwall, and hopefully convert a few others as this new BBC period drama is sure to be shown all over the world. 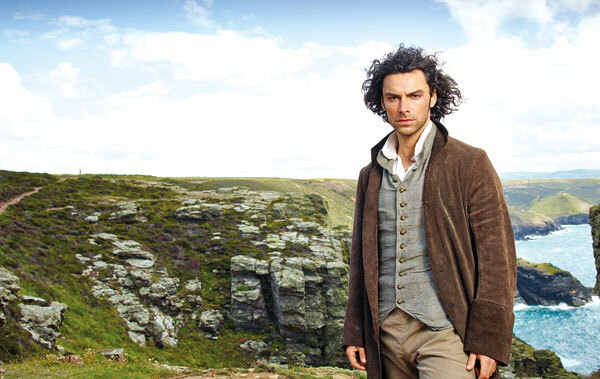 The story of this Cornish drama begins when Ross Poldark, a British Army officer, returns home to his beloved Cornwall from the American Revolutionary War when he discovers life has changed dramatically while he has been away, resulting in a series with hardship, intrigue and romance in equal measure. Ross is heartbroken to learn that his fiancée, Elizabeth Chynoweth, is about to marry his cousin, Francis Poldark. Having not heard from him for so long, Elizabeth believed that Ross had been killed in the war. Ross is then distraught to hear of his father’s death and the loss of the family wealth. In an attempt to restore his fortunes Ross reopens one of the family’s tin mines. After several years he marries Demelza Carne, his maid, and is gradually reconciled to the loss of Elizabeth’s love. By then, Elizabeth has become a widow and marries George Warleggan, Ross’s arch-enemy……..
How can you possibly miss his heart wrenching drama? Filming took place during the summer of 2014 in a number of locations across South West England, but primarily in Cornwall. Locations closest to our luxury self catering holiday cottages in Trelash, The Cottage and 5 star Meadowview Cottage, include our wonderful Bodmin Moor and Charlestown Harbour. Another location, a little further afield, is the stunning seaport of Charlestown Harbour, near St Austell. Famous for its collection of resident tall-ships and traditional Cornish architecture, Charlestown, a Grade II listed harbour, has regularly been the backdrop for filming over the years, including Dr Who, The Three Musketeers, Alice in Wonderland and The Eagle Has Landed. Charlestown is still a working port and is a fascinating place to visit. 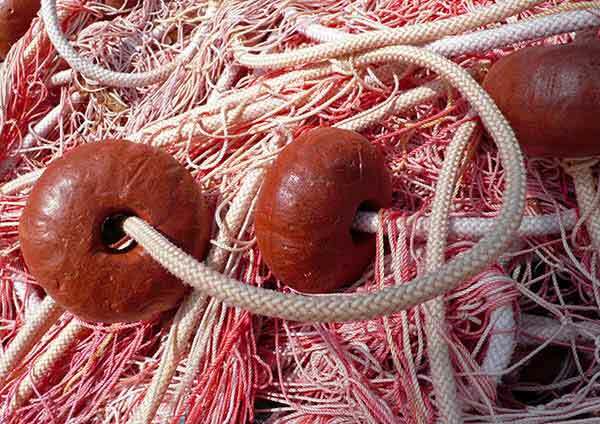 Whilst here treat yourself to lunch at the Rashleigh Arms, a traditional pub with a popular restaurant. This fine dining restaurant is relocating to the fishing village of Port Isaac on the North Cornwall coast, also well known for its association with the Doc Martin TV show. The restaurant will be opening in Spring 2015 This move is great news for guests staying at Meadowview Cottage, our luxury holiday home in Trelash, as this fabulous restaurant in now only a 30 minute drive away. At Luxury Cornwall Holiday Cottages we can accommodate up to 6 people in our beautiful 5-star Gold Award Meadowview Cottage. This luxury cottage is secluded, on the edge of a grassy meadow, currently home to sheep and their baby lambs, and has two very private gardens for your sole use. If you have young children, they will love the ROSPA play area, again only for your family’s use. North Cornwall has so much to offer why not give us a call today to check availability. Meadowview Cottage has a ROSPA play area adjacent to it. A unique feature of this lovely holiday cottage.